 If your company has multiple points of sale, multiple points of appointment or multiple places to operate your business then “Points of Sale” extension is made for you. It allows you to associate your activities with places and manage them independently. Does an activity in two different places have the same presentation on your site? The same number of places? Should they share their availability? Should I delegate my points of sale management? 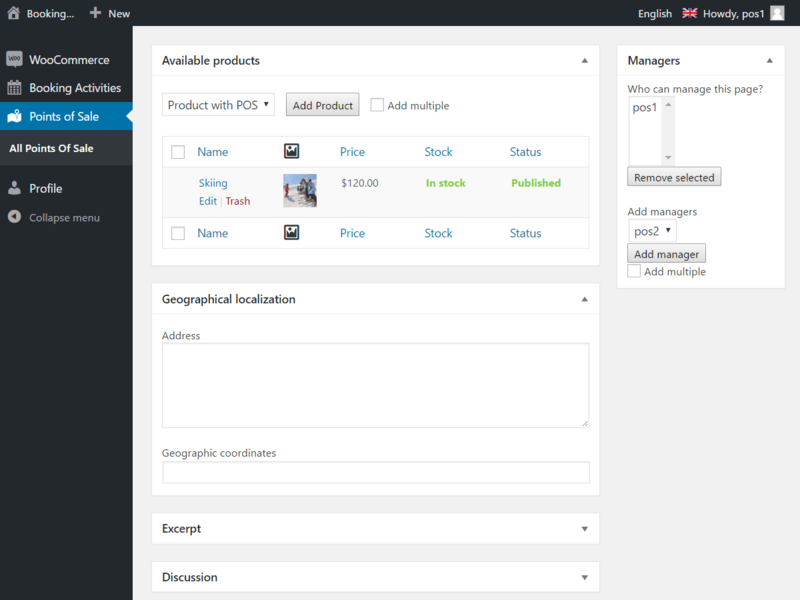 Points of Sale add-on allows you and your point of sale managers to manage activities independently for each location. For each of them they will be free to edit the title, description, photos, price, availabilities, the schedule or even their presence on the site. Each manager is responsible for his / her Point of Sale, and absolutely can not modify the points of sale activities parameters that do not belong to them. 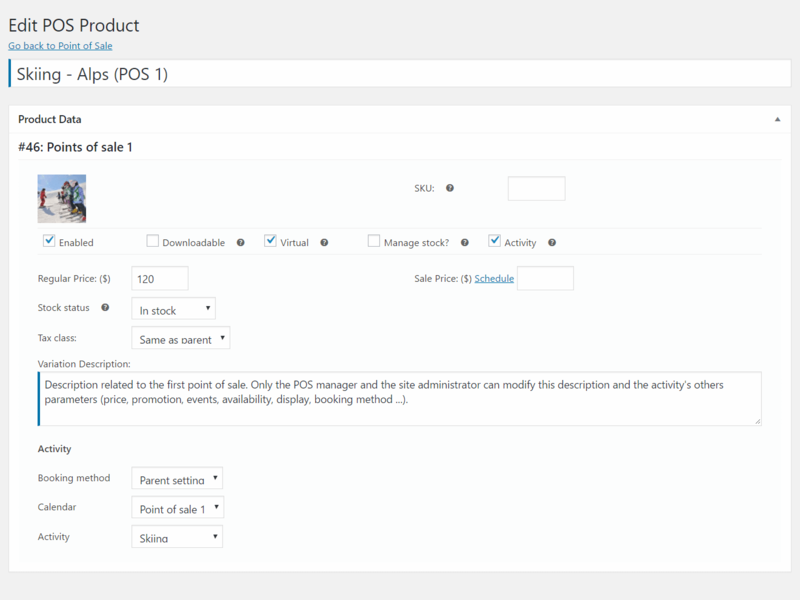 Points of Sale plugin includes the “POS Manager” role, which, once assigned to the desired users, will restrict their possibilities. Your managers will take care of a part of your e-commerce site in full autonomy, which will be extremely favorable to your e-commerce growth, depending on your managers involvement. Points of Sale works only if WooCommerce is installed and enabled. 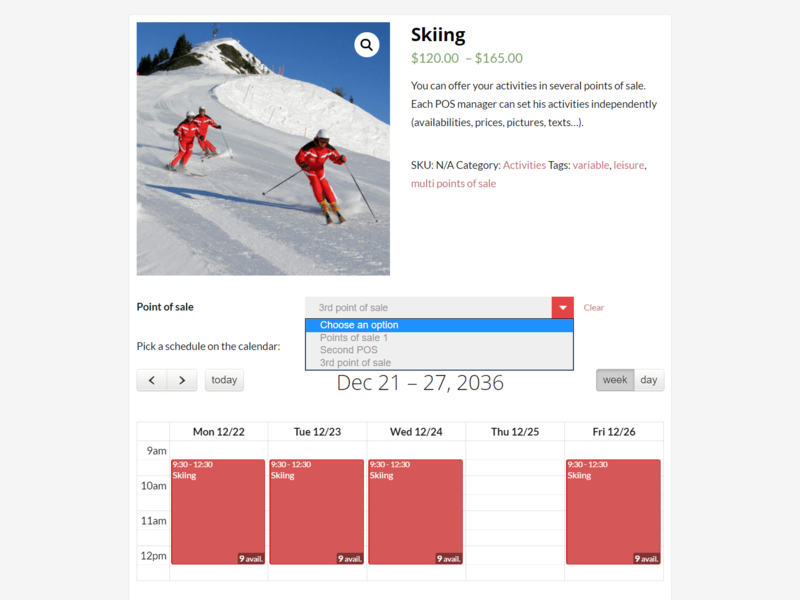 Booking Activities functionalities will be active if Booking Activities plugin is also installed and activated. Points of Sale at your service!